That is such good advise. One bite at a time. And you have to start eating to begin with! Finished and bottled my Steamboat. Not as high quality as others on this forum but I do enjoy myself and feel good when finished. Tried to post photo but the file size is to big (680 mb). Glad you were able to finish the steamboat. Finishing does make one feel good. Do you have anyway to resize your photo down to under 20MB? I would like to see your finished efforts. Actually it is only 1 my but the upload size is limited to 500kb according to post instructions below. Let me do some checking. The system should allow up to 20MB per image. Nice Steamboat Bob. Lots of detail. The stacks, ports/windows etc. Very nice. The photo seemed to upload fine for me. I'm not sure what the problem is. I will keep looking to see if I can see an anomaly in the system settings. Thanks for the compliments, and for uploading the file. Don't know why it wouldn't let me upload more than 500kb. Now working on building/bottling a cruise ship, Sapphire Princess. That is excellent detail. 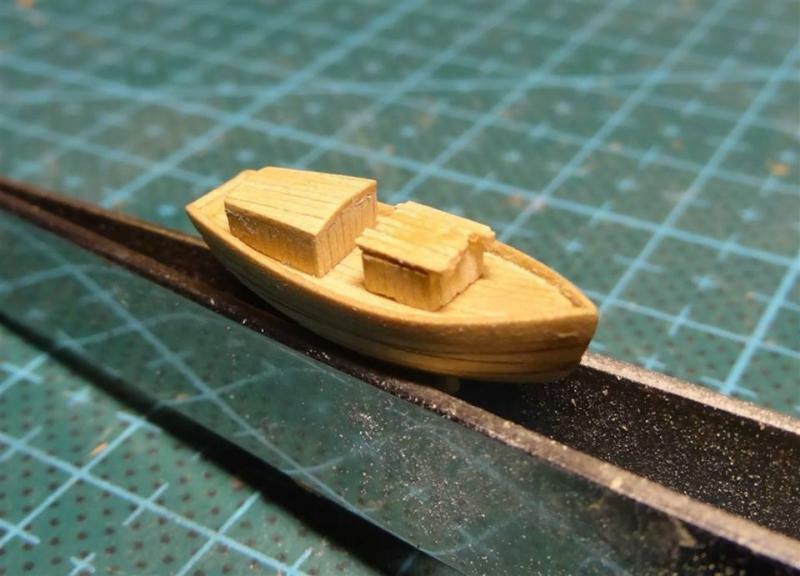 The planks on the deck and cabin are incredibly small. 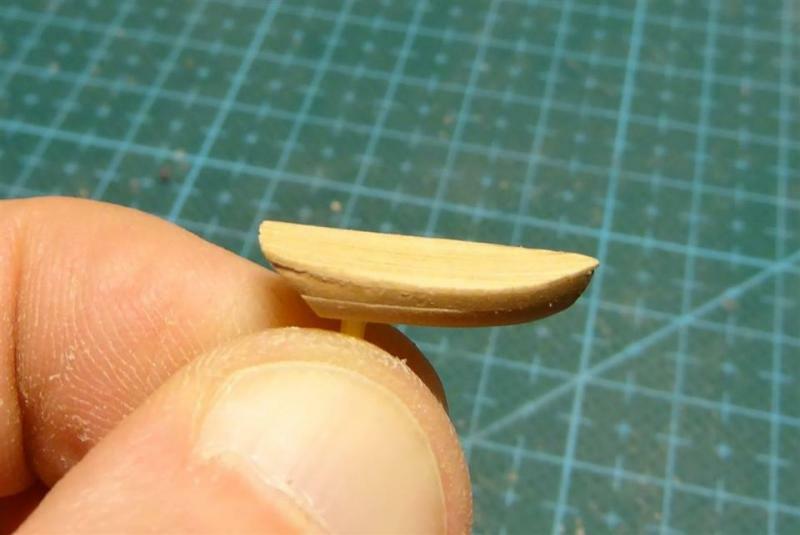 How are you cutting you wood to achieve such small tolerances? What type of wood are you using? In this case I use the planks of the light and pink pear. 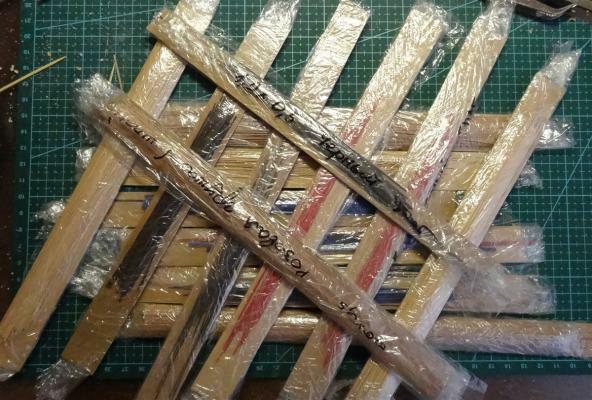 A little earlier I ordered laths from different breeds of a tree (a pear, a hornbeam) and the different sizes (0.5x0.5, 0.5x0.8, 0.5x1, 0.5x1.2 mm). 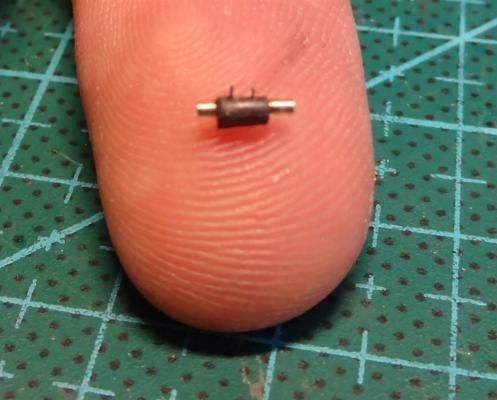 It is rather hard wood, but it allows me to do very small and exact details. And here you can see the last update of a schooner of ATLANTIS - the anchor winch and the therd desk house.. This is a project just back in the shop for a visit after an exhibit and back to her owner, who graciously loaned her for the exhibit. 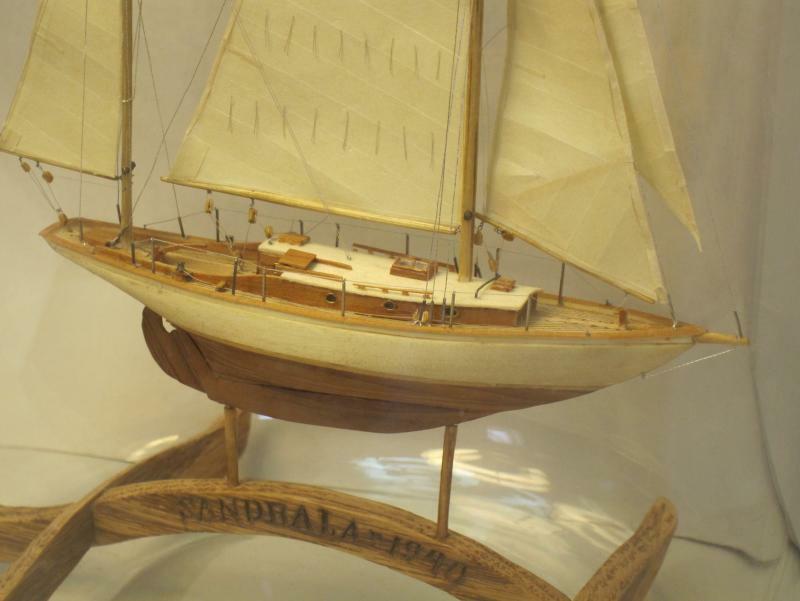 She is the yawl Sandrala, an Alden designed "Off Soundings" cruiser, built in 1940 at East Boothbay, Maine. 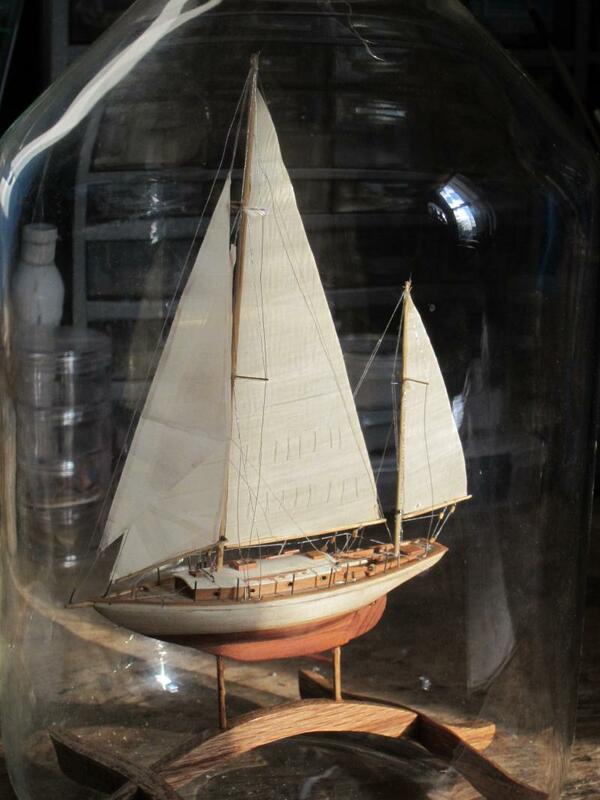 Still afloat today, she has been lovingly restored by her current owners. 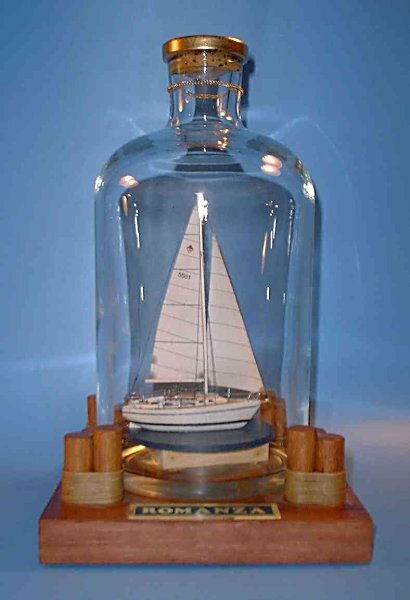 I was aboard in 2012 and was inspired to look up her lines and create this model in a 5 liter bottle. 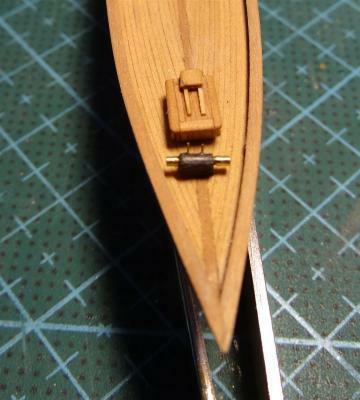 The scale is slightly smaller than 1/8" = 1', which allowed working blocks in her rigging. Rather than represent her as she appears today, this model shows her as she looked when first launched. 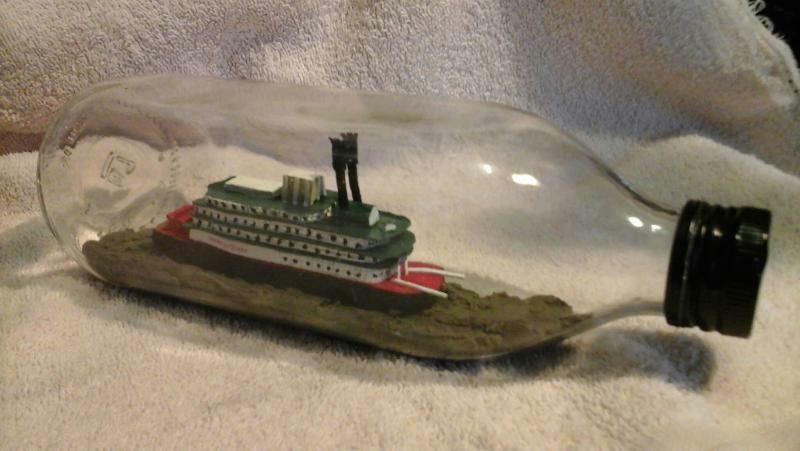 To avoid painting, I built her up of natural woods, using aspen for her pale topsides, redwood for her lower hull, boxwood for the boot topping and a variety of pines for her planking, cabin and rail. The stand in the bottle is oak and the standing rigging is a fly tying line called "French tinsel". It was a satisfying project that took 137 hours (including one abandoned hull) which I look forward to repeating when another suitable design turns up. Have you more photos of this work? It looks nice. Your details are very good. The pear wood is what I was thinking that it might be but was not 100% sure. I have some ordered that should be here this next week. Your ship looks awesome. The life like scale of the deck stations, and lifelines, the port lights and like you mentioned, the wood blocks. Really nice. 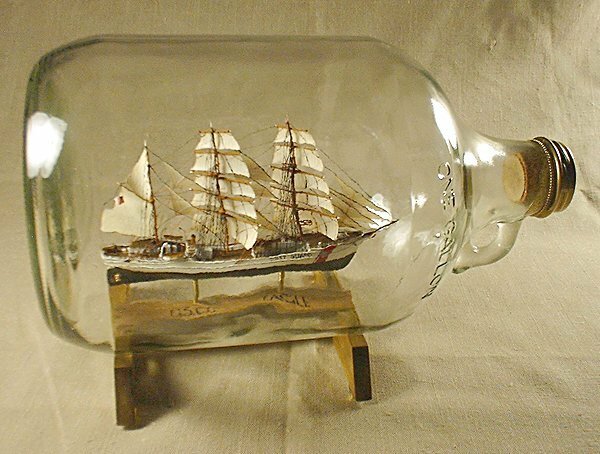 I also like this style of ship in the vertical bottles as well. Thanks for sharing the photo. This is detail of the deck. The planking, cabin and rail are all pine, just the latter two are more seasoned. The cabin roof is also aspen, same as the topsides. I got started on vertical models by editing an article on it by Paul Stanton of Port Dufferin, NS. Haven't heard of him for years. Does anyone else out there remember him? The detail on the deck looks very real. The handrails on top, the companionway slide etc. I like the way the different colors of wood (extra seasoning) comes together here. It looks like I'm seeing winches on this also? Very nice. Thanks for sharing this extra photo. Saw your divided hull photos, and looked around a bit to find two examples I've done similarly. 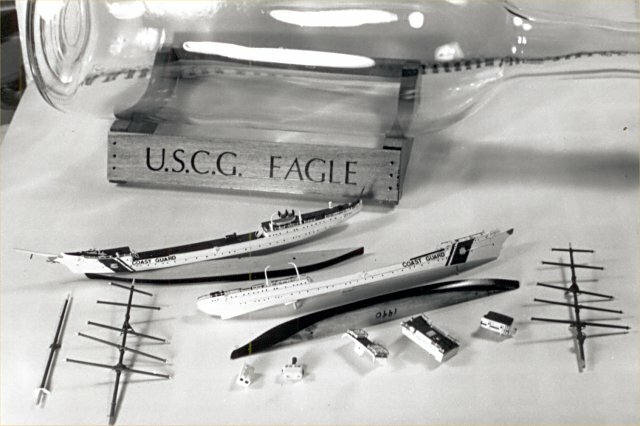 The first was a commissioned model of a yacht, by the owner's employees as a surprise gift. 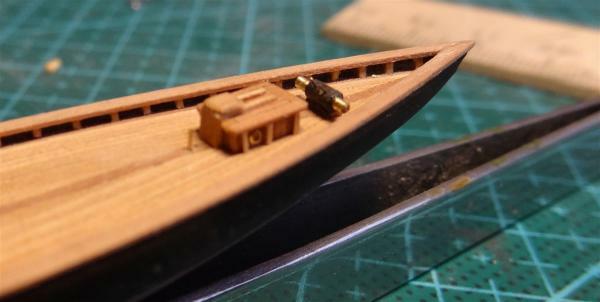 The Romanza model's hull was divided into four parts, the lower hull was just a thin piece as it was a waterline type model. The lower hull had two vertical pins upwards, the middle hull was two separate pieces, split down the middle, with horizontal pegs to align them together, and holes for the pegs from the lower hull. 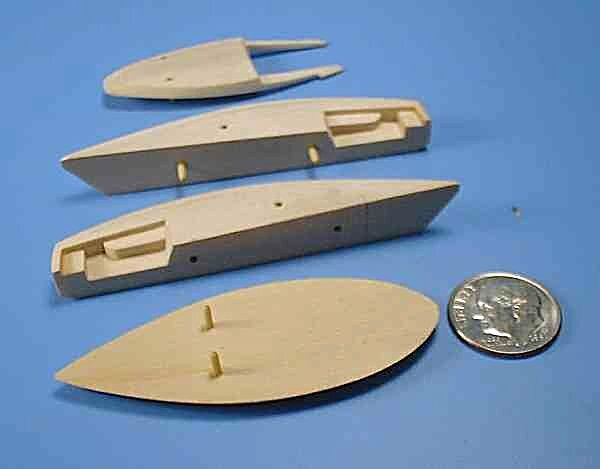 Each middle hull side had a hole to accept pins from the cabin roof/sides piece, with had two pegs on the underside. The bottom and top hull pieces locked the two lower pieces together. I use the technique when necessary, but it does make for a lot more work and design differences. Nice work John. Thanks for the pictures too! I think that your USCG Eagle with multiple parts really adds to the realism. More complicated, but worth it, if that is what needs to be done. My multi piece hulls, are inspired from one of your CD's I purchased a while ago. Each time I go through your's, or others tutorials, I always seem to learn more, pick a up a new technique, and enhance my overall quality. I am glad to hear that inspiration was derived from my writings, it's inspiration that will drive improving efforts by those who are interested in going that direction. Not sure how anyone else would do it, or what is normal, only know that at various shows it was considered somewhat unusual to see the finished model before starting work on it. Since it's the only way I know how, but seemed odd to some other modelers, just assumed it was unusual. I spent my entire working life building things out of steel or other metals and not once did I build something that I did not have a good mental picture of what it would look like when my part was completed. Usually I got this image from the construction or fabrication drawings. I can't even comprehend building something blind. I think its not so much building blind but how far ahead people see things coming together. Some people build one part at a time and add it to project and eventually a ship forms. The advantage of seeing the whole project at once is seeing how all the pieces come together which can help efficiency and continuity of the build.